Today marks the start of Women in Construction Week, a week our industry has designated to appreciate, inspire and congratulate the hardworking, talented women in a predominantly male-oriented field. As active supporters of this mission, Hensel Phelps would like to take a moment to do exactly that: appreciate, inspire and congratulate the strong women of our company, our partners and elsewhere, who are making a difference in the A/E/C industry. We appreciate the hard work you put forth every day. You’ve overcome cultural bias in an industry where women have traditionally been absent and proven that gender is not a determinant in attaining the highest degree of excellence in the A/E/C industries. Hensel Phelps is exceedingly proud of your contributions to our industry, and our mission is to empower you, and all of our employees, to attain new heights of quality, efficiency and safety in every operation. Hensel Phelps is widely known for hiring, training and developing the absolute top talent in our industry. Our women continue to take a leading role in the industry in every way, and we are dedicated to helping you achieve your career goals. We want women in our industry to be inspired. That includes the young women still in school who are considering a future in construction — young women we hope will consider making a career with the outstanding employees of Hensel Phelps. What we build impacts the world around us. The airports, data centers, amusement parks, and hotels — to name but a few — bring joy and life to our communities. We want you to be inspired to build and create, and to know that you’ve had a lasting impact on the world around you. Hensel Phelps would like to congratulate you. We’ve been in business for over 80 years, and we’re thrilled to be part of a world that is finally acknowledging the incredible capabilities of women in this and virtually every other industry and occupation. 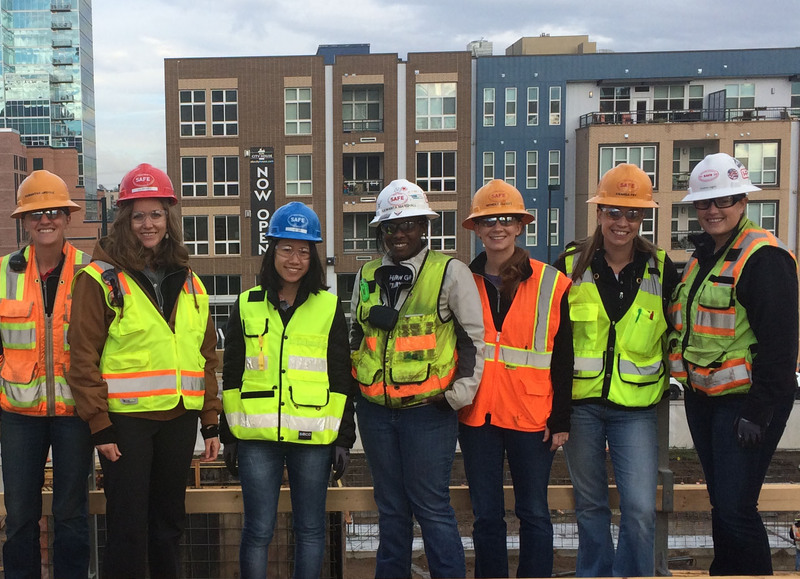 It is with great pride that we celebrate Women in Construction week and, in particular, the women at Hensel Phelps. Congratulations on your outstanding contributions and accomplishments throughout your professional careers. And to all women in our industry, our partners and employees—Thank You! We look forward to your continued advancement and are committed to doing our part to support you this week and always.